We (Luke and Cyndi) are beyond thrilled to be returning to Ethiopia. This is a much-anticipated and prayed-for opportunity. We are departing Friday October 30 and returning Saturday November 7. It is a quick trip, but we are trusting in the God of time (and of timing) to help us be good stewards of the days on the ground there. Thank you so much for your involvement and support of IHH's ministries there. We are looking forward to maintaining some of our existing connections, praying with our ministry partners and coming alongside them in some of their work, as well as laying the groundwork for some future team trips in 2010 and beyond. By God's grace, and keeping in mind that "man makes plans, but the LORD directs his steps" (Pr. 16:9), here is who we plan to meet with during the week. We humbly ask that you pray for the names and ministries below with whom we will be meeting, and that God would provide even more "divine appointments" as we seek to minister to all with whom we come in contact as well as prepare to bring future teams in 2010. Getahun Tesema - founder/President of Bright Hope Organization (a.k.a. Buckner/Bright Hope) a large, effective NGO involved in nearly a dozen ministries. We’ll visit at least a couple of these projects. Getahun’s wife, Tegist, is the director of Buckner/Bright Hope’s children’s home – their combination orphanage & transition home (where our son lived) We will also visit this home during the week. Wondwossen (Peter) Abera – founder of Compassionate Family International, an Ethiopian NGO which operates two drop-in centers we will visit. One is within walking distance of the guest house in Lafto and the other in the Kechene area of the city. Peter is just an outstanding, humble, joyous servant who has blessed us just by his friendship, let alone the way he cares for those in need. Ephrem Hagos – Ethiopia Guest Home manager and leader of his own soccer/sports ministry to street children. We’ll visit the site of the soccer ministry which takes place nearly every afternoon, and probably take some of the kids out for a very special meal that evening (for us and them). With one or two of them on each of our arms, we’ll visit the local Ethiopian version of Starbucks/cafe and spend some time with them… giving them a voice while we hear their stories. Beza Entoto Outreach – through Beza Int’l Church in Addis, a multi-faceted outreach program primarily aimed at the HIV/AIDS community on Entoto Mountain. Aspects of the program include: job creation; Self-Help Groups - like life groups with a micro-finance twist; weekly children’s ministry; health care. 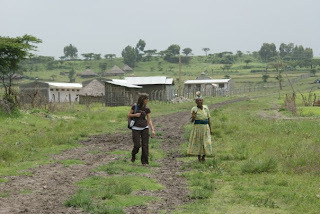 We’ll visit not only the Outreach center but also the Entoto community as well. Win Souls For God – a ministry based in the heart of Addis and run by a small group of energetic, giving young men. We’ll hear about their ministry and visit at least two of their projects: a shelter/home for women rescued & rehabilitating from prostitution; and a vocational training center where boys rescued from lives on the street are learning a trade – in this case weaving very intricate fabrics. Bole Bulbula – an impoverished rural village that lies literally right behind/next to the airport in Addis. IHH has taken steps to sponsor some of the children there and to provide vocational training opportunities for some of their parents. We’ll visit the village along with Pastor Abdissa Bente Leye of Addis and the local leader in Bole. 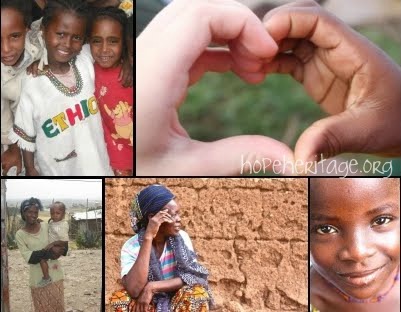 Kids’ Care and AHope – two larger orphanages located in Addis. In contrast to the smaller Buckner/BHO children’s home that serves as both orphanage and transition home, Kids’ Care is a large orphanage where children are waiting to be adopted through one of at least four different agencies (from the U.S. and several E.U. countries). Typically, when children have been “referred” or matched up with adoptive families, they will move from the orphanage to that particular adoption agency’s “transition home,” a smaller facility. 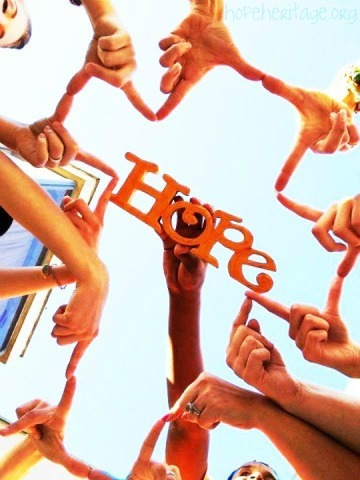 A-Hope is one of the largest orphanages serving predominantly HIV-positive children. 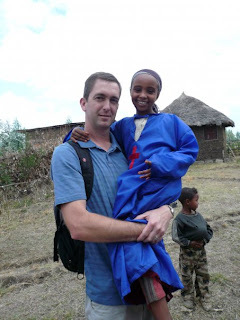 Elolam orphanage – serving a small rural area near Debre Zeit, south of Addis. IHH has been working with this orphanage to facilitate the paperwork needed for children at this home to be eligible for adoption. Additionally, we are personally going to visit the home of our adopted son's extended family and take this opportunity to update them once again with photos of him. Luke had the opportunity to visit them last January and all of our son's relatives and neighbors were most overjoyed by a tangible reminder of how loved he is and how we regard them as important in his/our life. It is an amazing privilege and opportunity to maintain this connection. Again, thank you for all of your prayers, interest, and participation in IHH's work. God is doing a mighty thing in this generation! May He bless you richly, and we pray you will return with us to Ethiopia at some point in the future. May you have a blessed trip, surrounded by God's loving protection. Praying that God will bless the work of your hands and feet over there and multiply your efforts on behalf of His kingdom! LOVE YA'LL!! Helping children and families worldwide.